A New Year's resolution worth trying? 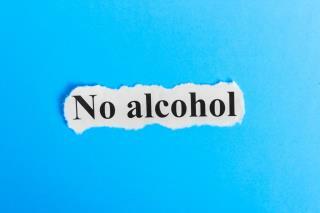 (Newser) – If you're still deciding on New Year's resolutions and pondering whether "Dry January"—that would be 31 days with no alcohol—is worth adding to the list, new research out of the UK suggests the answer is yes. The University of Sussex heard from 816 people who participated in Dry January in 2018, surveying them before it began, during the first week in February, and in August. The researchers found that the benefits were still in effect more than six months later. Namely, participants were drinking one day less a week, at an average of 3.3 drinking days versus 4.3 before Dry January, per a press release. And when they drank, they drank less, with average units consumed per drinking day falling from 8.6 to 7.1. If you can't go without alcohol for a month you have a problem. Alcohol serves no nutritional requirement. If you have to drink to be social, you have issues the alcohol obscures temporarily, if you are unsociable sober, you probably aren't that wonderful drunk. I am doing cthe cinnamon challenge, then the Tide pod thing. That’s f xcking pathetic. People and their drinking problems.